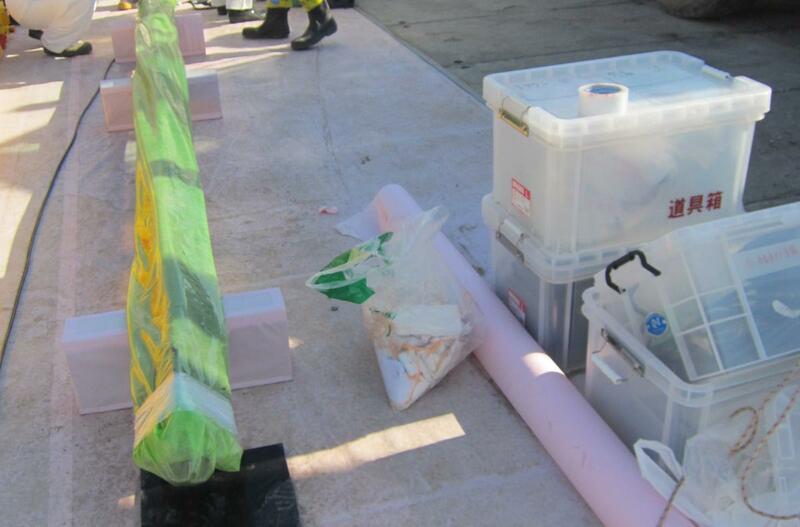 TEPCO released still photographs of the July 18 and 19 operations to remove two new (unused) fuel assemblies from the Reactor 4 Spent Fuel Pool. The company also released 4 short videos of the July 19 operation. They look like videos taken from someone's mobile phone (i.e. bad). 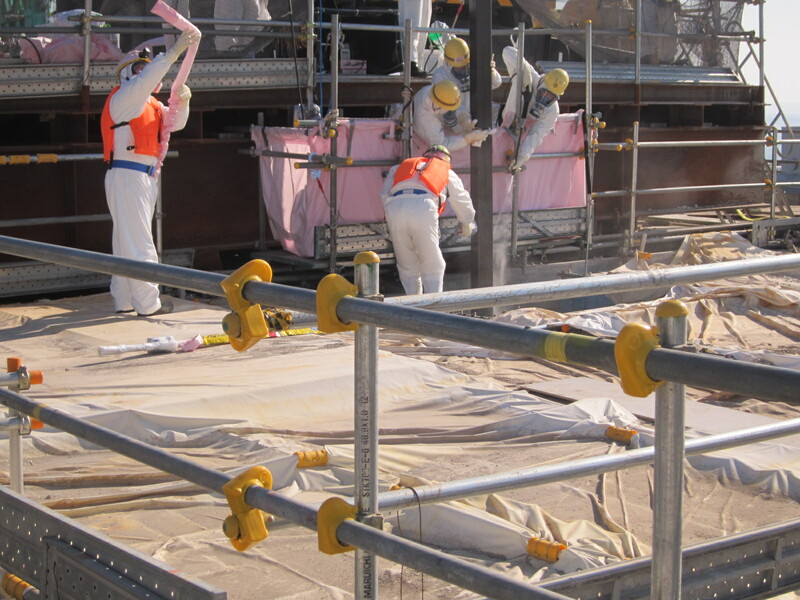 TEPCO had to blur the names on the backs of the workers to hide their identities, making poor-quality videos even worse. From the still photographs, the operations on July 18 and 19 were identical. 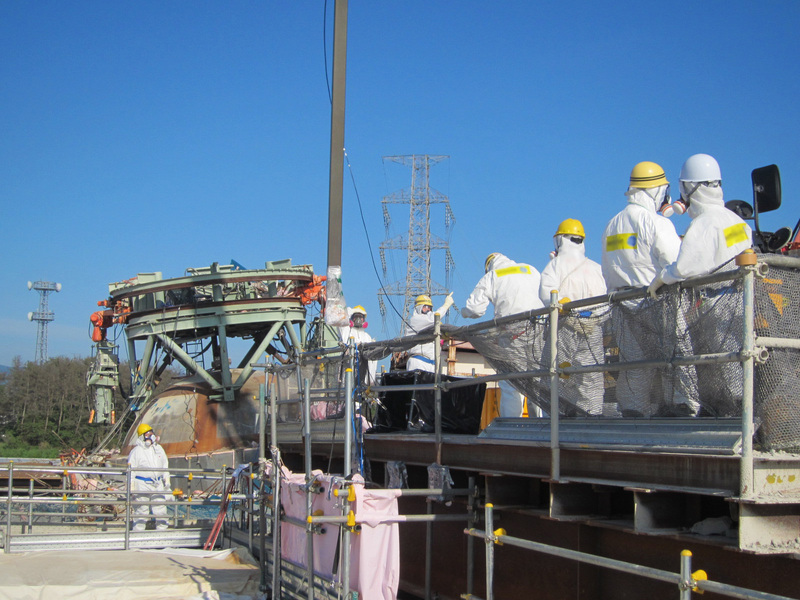 In the photographs, you can see that the workers on the platform were from Hitachi. 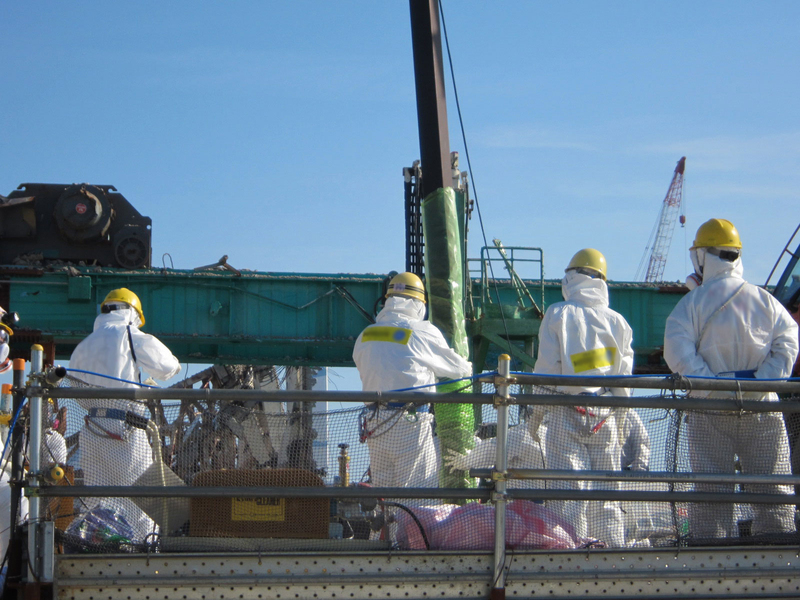 They are seen hosing down and wiping off a tall, black fuel assembly as the assembly is being pulled out by the crane. The assembly looks clean and intact. I'll upload the videos later. Speaking of nuclear fuel have you ever wondered where the US commercial nuclear program gets its future nuclear waste? You might be down wind from one of these wonderful facilities when it is making its magic. Don't be surprised when these locations become future EPA Super Fund sites like all the past fuel fabrication facilities before them. The black color is normal for stainless steel corroded together with other, less noble materials in salty water. Well possible that some fuel rods have holes from pitting. The allegedly measured radioactivity of 2-3 mSv suggests to me that some of the spent fuel assemblies are slightly leaky. This assumption is also supported by the long time it took to bring the initially very high pool water radioactivity down. wow! that looks bloody harmless?? why was it in water in the first place? Atomfritz, Happy-san didn't say it's 100 times more radioactive. Usual sloppy so-called "translation" there.